PRODUCTIVE OFFICE PRINTING IN A COMPACT SIZE Printing, scanning and faxing shouldn't require a huge printer to get the job done, and with the PIXMA TR4520 you'll see how a compact office printer stands up to the bulkier printers. 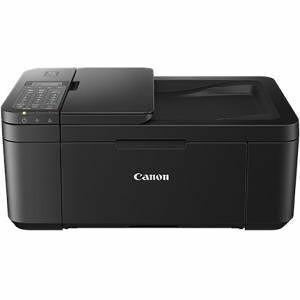 It is the right size which has the right features, like Wi-Fi® 1, Auto 2-Sided printing, and an ADF for scanning and faxing. The PIXMA TR4520 provides simple, productive office printing in a compact size.